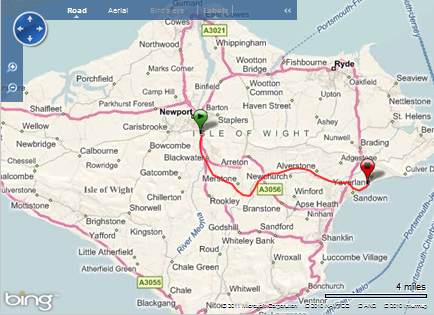 My run today from the centre of the Island to the sea at Sandown followed the Newport to Sandown Cycle Path. 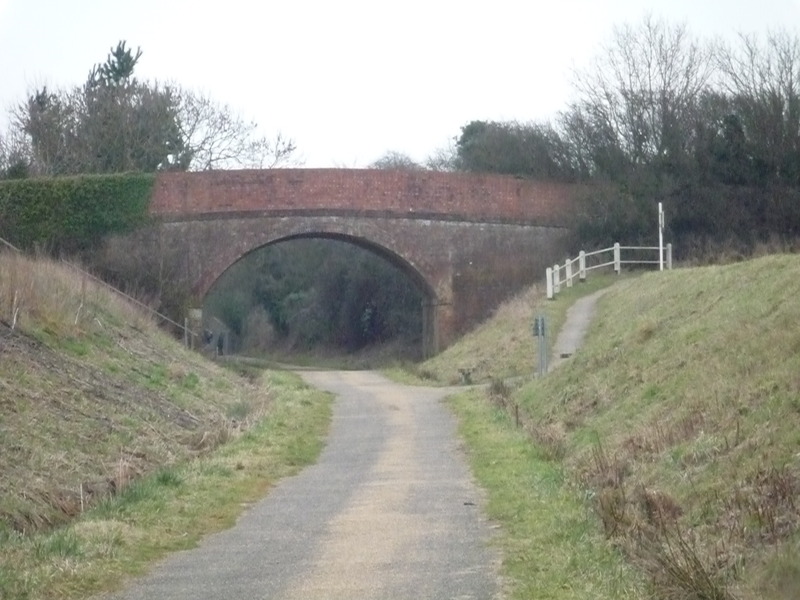 The Isle of Wight, as well as having the well-known round the island route, also has some fantastic cycle paths using dis-used railway lines. They are great for cyclists wanting to avoid being mowed down by tourist coaches on the increasingly busy roads, for family cycling and of course most of all for running! 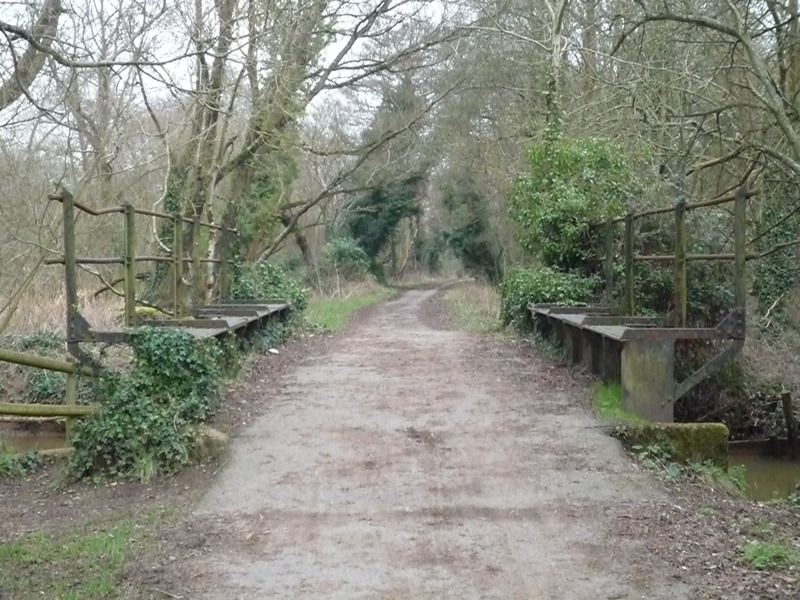 This path makes a great run, because being an old railway line the gradients are gentle and by choosing to run from Newport to the sea at Sandown means it’s all very slightly down hill! Even in the summer, it is never very busy so for long periods you can run in splendid isolation and have a real feeling about being away from it all and clear your head. Equally I like to see the odd dog walker or cyclist occasionally to stop me getting too spooked! 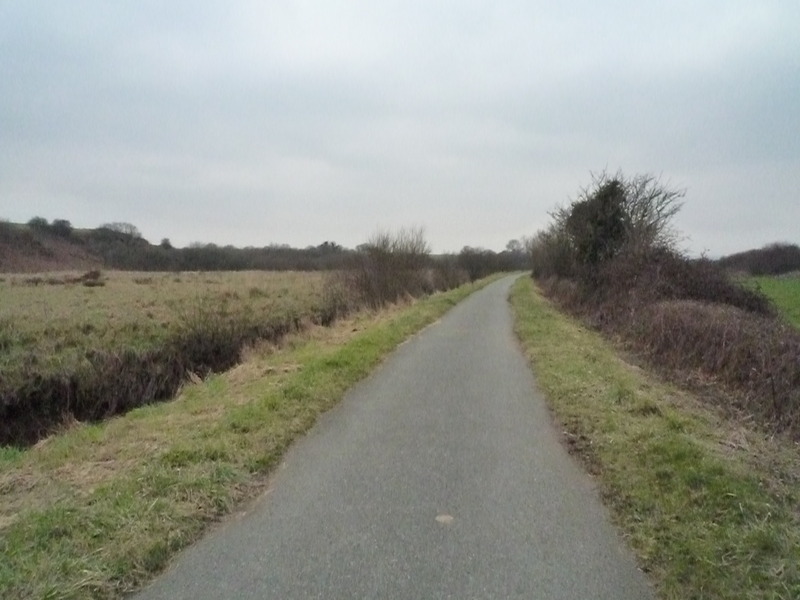 The scenery is nicely varied over 8 miles and crosses 5 roads where you meet the most people nearest to available car parking. The crossings divide up the run into segments and give you few moments breather crossing the road every mile or so. I didn’t see any wildlife today apart from a few ducks. Towards the sea the path follows the bottom of a valley with streams on either side. This part has become a nature reserve for wild birds; much of these meadows were flooded today. During a previous run on a late summer afternoon on this stretch I’ve found myself running along side a low flying owl! 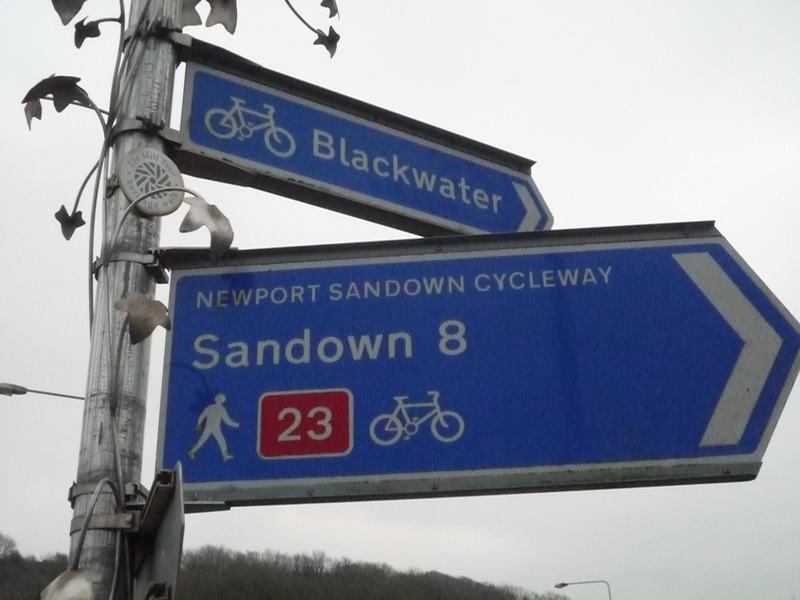 The cycle path finishes in the middle of Sandown at a static caravan park (the shop is very useful for post run refreshment). 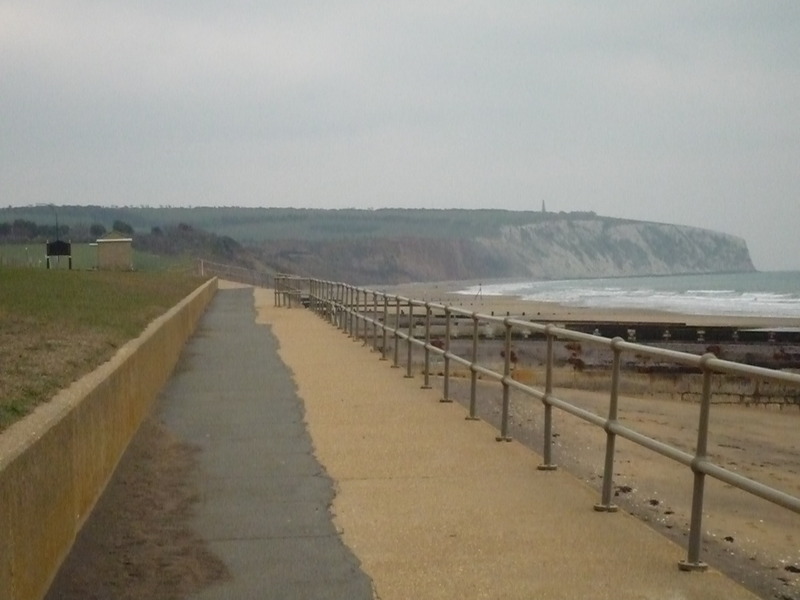 To meet up with my lift home, I continued on through a 1960’s estate of bungalows, via a too steep a hill and round to the sea front to journey’s end at Yaverland, one of our favourite beaches. I really enjoyed running with my camera today. It made me think about and appreciate the scenery. 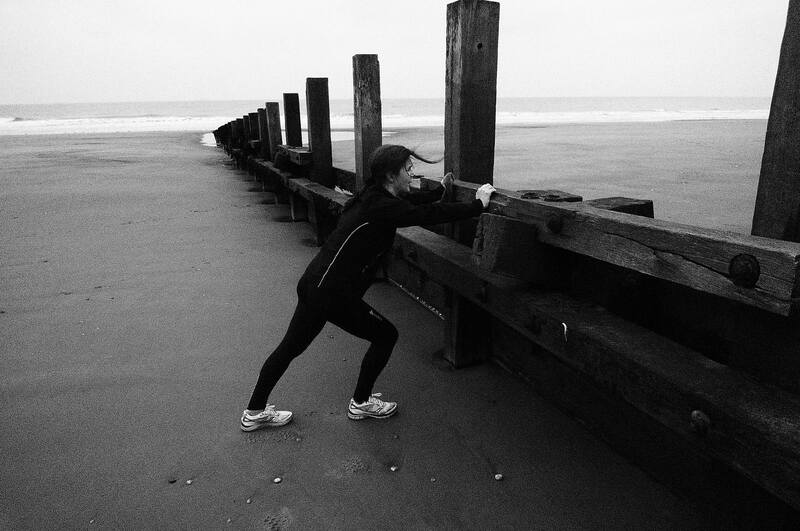 Pausing occasionally to take a quick snap makes a long run relaxed and enjoyable and takes away that self pressure about time and pace and hang up that it’s not a run unless it’s no-stop! I will do it again. 29/31 days run 115.78 miles. Categories: Uncategorized | Tags: Isle of Wight, Photographs | Permalink. Great photos especially the arty black and white one. Did you manage to push it over in the end? No – but I gave it all I’d got!